At the start of every academic year, one of the foremost responsibilities of every class teacher is to create a timetable for the students. As simple as this task sounds, in actuality, it can be a complex challenge as the teachers need to juggle the learning needs of the students with the availability of the teachers across all the standards of the school. Additionally, while doing this, the teachers also must ensure that the students do not find the day too exhausting or boring, hence creating a balanced daily schedule for the students of the school. This timetable is usually created manually and can be a frustrating and highly time-consuming task for the teachers. However, over the past few years technology has consistently come to the aid of school with school management software. Today many school management systems offer a timetable management module which helps educators create an efficient and effective timetable for schools. Let us look at the advantages of using a timetable management system in schools and other educational institutes. This is perhaps of one the biggest advantages of digitising the school towards using a timetable management system. As previously stated, creating a timetable can be a complex task. However, the use of technology can not only make the task easier, but the same can result can be achieved in lesser time. All that the teacher needs to do is input the data and the artificial intelligence of the school management software would automatically create the timetable – assigning teachers to the students whilst ensuring the optimum use of all resources and school infrastructure such as laboratory hours, play time, library periods etc. Any manual system is subject to human errors. However, using the automatic timetable management system ensures that there is minimal chance for error. Additionally, there is an error in the input of data, the same can be rectified within minutes, with the simple press of a button. For the school that have multiple standards of classes, with many class division, this error-free method of creating a timetable can prove to be a boon. A notable benefit of using technology to create your school timetable is that is user-friendly and can be used by anyone with minimal knowledge of computers. It can be used without any confusion. While being easy to operate technology, the timetable management software is also very secure and ensures that all the secure school data is kept safe, with access to only those with prior authorization. Using a timetable management system makes it easier for the schools to allocate a substitute teacher to a class in case of an absent teacher. 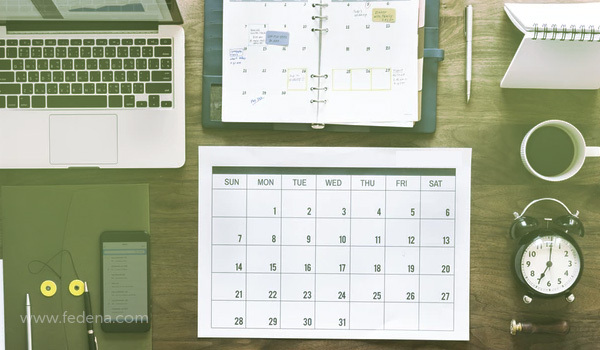 The automatic schedule feature will also notifications to be sent to teachers updating them about the changes in their schedule, thus once again helping them prepare in advance for the day ahead avoiding any subsequent chaos. The timetable management system can be easily customised according to the brand guidelines of your school. Additionally, schools also have the option of customising the brands based on their choice of language, locations, number of schools, number of grades etc. This easy customisation feature helps meet the unique scheduling needs of each school with ease and speed. The timetable management system can seamlessly get integrated into the online school calendar. This ensures that on days of special events, half days, exams – an alternate timetable is automatically generated to send out to the students and teachers. It ensures that there are no conflicts or clashes with school events and that the school is able to function in a seamless manner. The timetable management software can also be used to calculate the number of hours each teacher spent teaching the classroom, the number of days worked and the various absent days. In a manual system, calculating this can be a long-drawn process – prone to errors and miscalculations. However, with the help of the timetable management module in the school management software, the same process transforms into a hassle-free one. This makes it easy to calculate the payroll for the teachers. Managing a school automatically means dealing with an endless amount of paperwork and then managing those records, saving them and keeping them securely for the years to come. However, the use of a timetable management software ensures that all the paperwork gets stored digitally. With its simple and user- friendly interface schools can now simply save all the classroom timetables for years to come. The cloud system ensures that this information can be accessed securely from any location, and the school can safely go paper-free. Additionally, this saving of paper is also healthy for the environment. The start of every academic year is filled with chaos as the school have to grapple with multiple tasks that need to completed in an efficient manner. Creating a timetable is one of those tasks pivotal to the day-to-day functioning of the school. However, a wrongly prepared timetable can lead to complete chaos for the students and teachers. In a technologically driven world, the use of a timetable management system offers a host of benefits to the school – ensuring that it school functioning in a seamless manner without any unnecessary challenges or complexities.